It can feel incredibly disheartening, concerning, sad and frustrating all at the same time. 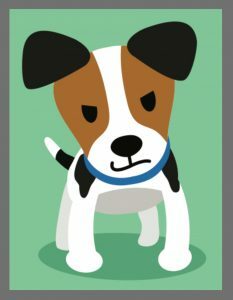 Your dog that you’ve had since he was a cute puppy, or the dog you rescued several months ago, is now showing signs of lunging, snapping, snarling, barking, growling and/or potentially biting other dogs or people. Is the behavior new and completely out of character? Is it escalating in frequency and/or intensity? Does it present a potential danger to you, other people, or other dogs? Do you regularly find yourself in unavoidable situations where your dog is likely to behave aggressively? Does your dog’s behavior activate your Spidey-senses and make you feel like something is just not right, even if you can’t exactly put your finger on it? Step 1: Get in the Judgement-Free zone by saying this: “It’s not all about how they’re raised.” Then say it again; “It’s not all about how they’re raised.” This is a myth that still persists throughout the dog community. While it’s true that you are the path forward, it’s important to leave any feelings of guilt behind. In this example, your dog – let’s call him Freddie – is nervous of big dogs while on leash; he doesn’t lunge or bark or growl, but you’ve noticed he gets a little stiff during greetings. When on walks, the leash restricts Freddie’s option to move away from another dog if he feels uncertain (unlike when he is at daycare or at the dog park, where he is free to move away from dogs he doesn’t want to interact with). Freddie tries out this potential new solution to his Big Dog Worries a few days later, except instead of waiting for a big dog to come within greeting distance, Freddie is proactive: he growls and lunges toward a large energetic dog who is walking by minding her business. Freddie’s lunging and barking has been reinforced (strengthened) because the dog keeps moving away (“Aha!” Freddie says, “I’m onto something!”). Freddie continues to practice his new behavior more often, in more situations; his ‘solution’ is working, and so the behavior becomes more frequent over time. Within 3-6 months, Freddie is barking and lunging at almost all dogs while on-leash. 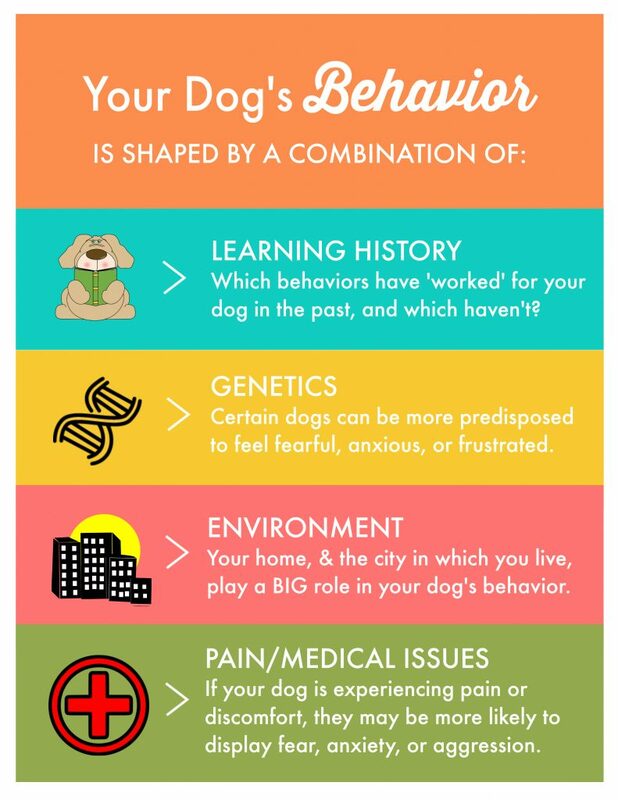 Whether you’re dealing with a Fearful Freddie, a Frustrated Frannie, or an Anxious Archie, it’s important to understand what your dog is getting from the aggressive behavior (e.g., I get to the keep the bone, I make the petting stop, I keep the mailman from murdering us all, etc.). If you are having trouble figuring out the function of your dog’s aggressive behavior, see Step 3 below. Genetics: Yes, genetics play a role in behavior. In a nutshell, some dogs may be predisposed to being more anxious, or more fearful, or more easily frustrated, which can all potentially lead to unwanted aggressive behaviors. Remember, your dog is an individual and while we can influence behavior, dogs are still complex, autonomous living beings. Isn’t that why we love them? Environment: This is a big one here in New York City. Frequently, we see dogs who had no aggression problems in the suburbs or rural area where they once lived, but the environmental pressures of the city (less space, more noise, more social interactions) can lead to a dog being more stressed in general, which can lead to the examples stated above. We also sometimes see this when somebody moves from a less crowded neighborhood (somewhere quiet in Brooklyn) to a much more crowded neighborhood (the East Village in Manhattan). Environment can also include lack of socialization during puppyhood (or improper socialization), or environments that aren’t suited for your particular dog (perhaps your dog is great at the dog park for 30 minutes but struggles when at day care for 8 hours). Pain (and other medical issues): Yes, pain can be a major cause of aggression problems. This is especially important for dogs who may be acting differently than normal (behavior change came on quickly), are sick, or have a recent injury (or recovering from surgery like a spay or neuter). It’s pretty easy to understand that being in pain can make one grumpy and agitated. This is one thing we always try to understand during a behavior consult, and frequently ask owners to check-in with their vet to make sure there is nothing medical that may be causing the problem. You don’t always want to spend time and/or money on behavior modification if it’s really pain – or another underlying medical issue – causing the aggressive behavior (and many times, both health and behavior issues need to be addressed). Step 2: Lower Your Risk – Now that you’re in the judgement-free zone , it’s time to immediately start taking action. First, if your dog is breaking skin on people or dogs (or you think he or she has the potential to do so), the first thing you should do before doing anything else is muzzle training. By far, a muzzle is the most underrated and most underused tool in dog training; it can drastically lower liability risk and help keep the community and your dog safe. Now, it’s fair to think that your dog won’t like it, and that she’ll look like the neighborhood Hannibal Lector. The good news is, your dog doesn’t know who Hannibal Lector is and you can make your dog enjoy wearing the muzzle! Frequently at Instinct, we call a muzzle a “hat” (and we always use properly fitting basket muzzles, such as Baskerville muzzles, that allow your dog to fully pant and breath, drink water and eat treats) and play fun games so that a dog seeks out the muzzle wants to put it on when its present. Whether or not your dog requires a muzzle, it’s important to limit their exposure to what triggers the aggressive behavior until you get to Step 3 below. This may mean taking them on a walking route where you encounter fewer dogs or people, or putting them away when guests come over (if they have stranger danger when somebody comes to the house). If your dog is resource guarding (the aggressive behavior occurs when she has yummy food or toys), you may want to remove access to toys or special treats that cause the issue, or feed them in a different room if it happens with their food bowl. This isn’t forever, but it will help limit risk until you can work with a professional. 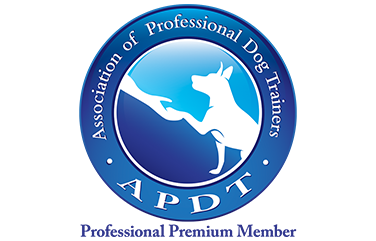 There are many things in dog training you can do yourself or at home by watching YouTube videos or joining dog training Facebook groups. However, aggression issues are best worked on with the help of a professional*. If you have a skilled behavior professional near you, it’s a really good idea to reach out to that person. In fact, it’s always a good idea to talk to about 3 professionals in your area and go with the one that with whom you are most comfortable. No one trainer is best for everyone; find the person that makes you and your dog the most comfortable in terms of competence and how they treat you. 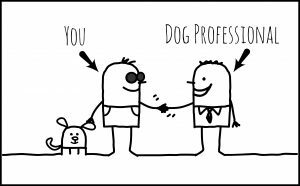 When you contact a behavior professional, remember that an experienced behavior consultant or trainer should have experience with your particular issue, focus on helping your dog (and you!) feel more relaxed and better able to cope with the situation, and should be able to give you a ballpark range of number of lessons or program pricing. This can change once they do the initial consult or as the program progresses, but experienced trainers can generally ask good questions on a brief, 5-10 minute phone call to let you know if they can help, or if you should be referred straight to Veterinary Behaviorist. Find someone you like and book a consult! *If your dog’s behavior has changed very suddenly, your first visit should be to your veterinarian, as sudden changes in behavior are often linked to an underlying medical issue. Step 4: Follow Instructions, Follow-through and Enjoy the Process! This is incredibly important. Regardless if you do private lessons, a group class, or a board & train program, the training will not work if you don’t follow through. Your homework each day shouldn’t take more than 10-20 minutes, and many exercises can be worked into everyday life (on walks, or when guests come over, etc.). 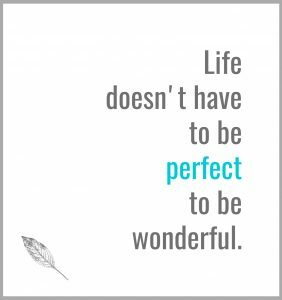 In our experience, consistency of practice is more important than perfection. Honestly, dogs are great at figuring out what we want as long as we’re consistent (even if it’s slightly different than what you were told). Do your best, keep your consultant or trainer in the loop if you have questions, but stay consistent. Remember: have fun! If you’re tired or frustrated, put down the treat pouch and come back later. Training shouldn’t feel like a chore. The longer we train, the more we love the process. This is a great chance to bond with your dog, improve their welfare, and give them the many benefits that training provides (confidence, improved communication, trust, etc.). 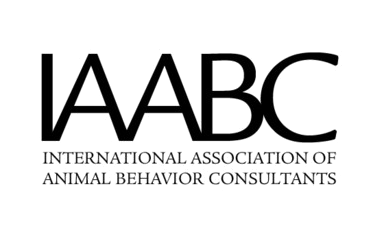 If your behavior consultant or trainer recommends that you speak with a Veterinary Behaviorist or your Veterinarian about your dog’s behavior, and the vet or vet behaviorist recommends behavior medication, please keep an open mind. In the appropriate situation, medication in conjunction with behavior modification can be a huge game changer for some dogs, and can really improve the outcome, and welfare for your dog. There are many medications out there, and some work extremely well for certain behavior issues. Certainly, be aware of potential side effects, but also be aware of what the potential benefits are for you and your dog as well. It’s amazing the difference brain chemistry can make, and sometimes it can be lifesaving. 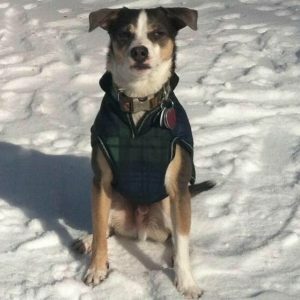 Perfection from a training program (my dog will NEVER be aggressive again, or my dog will ALWAYS be friendly) is not realistic and will only lead to disappointment and frustration. However, in the vast majority of cases, things should get much (much) better if you follow-through and have good guidance. There will be good days, bad days, GREAT days and TERRIBLE days. It’s ok. It’s normal and part of the process. What you are looking for is a trend over time; you should notice that your dog is generally becoming more and more relaxed, and that there is a reduction in intensity and frequency of the undesired behaviors. For many dogs, management of the behavior issue will be lifelong and always require some vigilance. However, with proper behavior modification and management, the situations that used to be really stressful for you and your dog should become easier, more predictable and feel routine. Finally, remember that just because your dog may struggle with certain situations, it doesn’t make her or him “bad.” By taking responsibility for your dog’s behavior, keeping your dog and the community safe, and helping both you and your dog become less stressed and more confident over time, I promise life will still be very good (and your dog will teach you many things that you wouldn’t have learned otherwise). Dedicated to our leash reactive Rat Terrier Mix who taught us how to be a better listener, more patient and more kind.